Anything other than the squash borer kill squash? Hi everyone, first time poster. I started a veg. garden for the first time this year. I helped with my parents' garden all of my childhood, but first one on my own. My only butternut squash plant looked like it was doing very well til yesterday, when I noted that some of the leaves on one vine looked just a little yellowish. Not enough to worry me, it was just a few leaves, rest of the vine looked fine. It was cooler the last two days, but nowhere near frosting. It was supposed to rain overnight, so I didn't water yesterday, but it didn't rain, and today was quite hot and dry. Today I noticed that three of the baby squash are brown (I had to look under the leaves, so I'm sure they were getting there over the last 2-3 days, but were ok 4 days ago when I checked them.) I have looked the vine up and down, and can't find anything like what is described with the squash borer-there are no eggs, no spot in the vines with the "sawdust", etc. The vine itself looks fine. 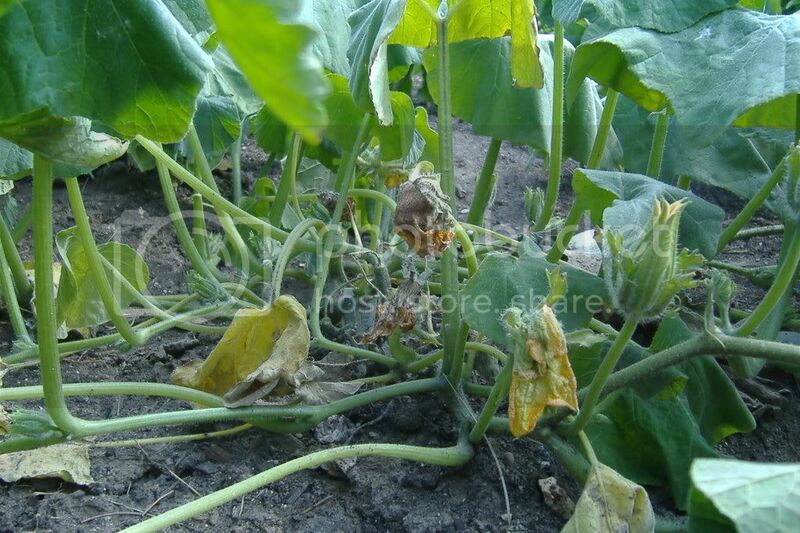 The vine ahead and behind the "dying spot" looks fine, and the rest of the baby squash look ok, but these 3 are dead, and the leaves in that spot are yellowed and wilting. I am going to water again tonight once it's a little cooler, but wanted to know if anyone had any other ideas of what could be causing the problem? PS I added photos- the first and third show that some of the leaves are actually wilting, the second shows the healthy (for now?) 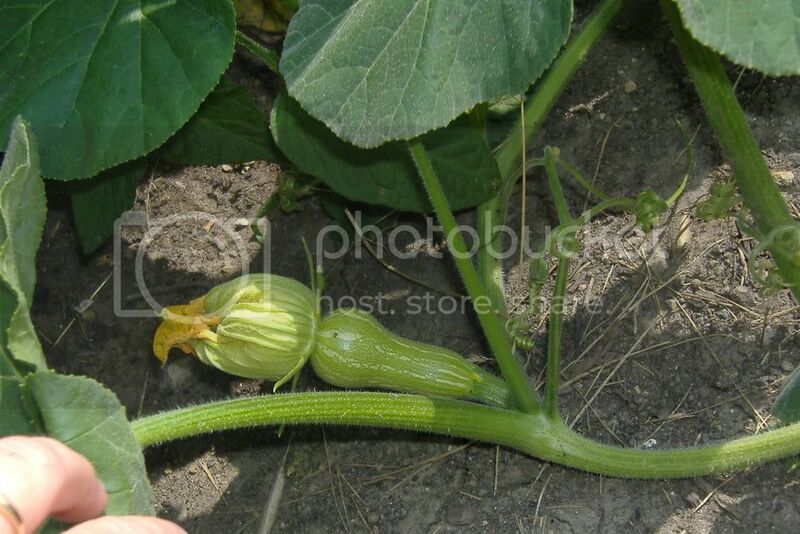 squash on the same vine, and the fourth shows one of the three that died. I just found some Japanese beetles in the beans too, so I was wondering if they could be the culprit? I thought they pretty much just eat the leaves? 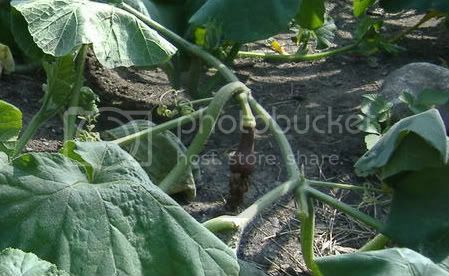 Insecticide for squash vine borer?